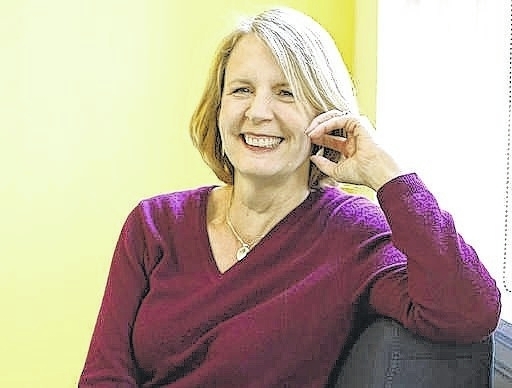 Liz Weston: Are you paying too much for financial advice? • Investment management, which includes picking the right mix of stocks, bonds and cash. • Financial planning, which can include everything from budgeting advice to estate planning. Comprehensive financial planners have traditionally supplied both investment management and planning services, often charging a percentage of the clients’ assets that they manage. A recent survey of nearly 1,000 financial planners by Inside Information, a trade publication, found that the bigger the portfolio, the lower the percentage clients paid. The median annual charge was 1 percent for portfolios of $1 million or less, sliding to 0.5 percent for portfolios of $5 million to $10 million. The survey focused on independent advisers who typically charge fees, rather than brokers or insurance agents who are often paid by commissions. The investment management part of the equation is what’s getting squeezed by robo-advisers , which are automated services that invest according to computer algorithms. These digital advisers, which include startups Betterment and Wealthfront as well as offerings from Vanguard, Fidelity and Schwab, usually charge about 0.25 percent of the portfolio’s value. Some services combine automated investing with access to financial planners. Vanguard Personal Advisor Services, for example, charges 0.3 percent for investment management plus phone access to a human adviser, while Betterment’s similar premium service charges 0.4 percent. If that’s what you’re getting for your 1 percent, you’re getting a pretty good deal — particularly if the adviser is checking in regularly and helping you handle new problems that pop up. Bob Veres, the Inside Information publisher who conducted the survey and who has tracked the financial planning industry for decades, says any adviser who “merely” provides a well-allocated portfolio and periodic statements is overcharging at anything more than 0.5 percent. On the other hand, anyone who provides full-service financial planning for less than 1 percent of assets under management is underpaid, he says. Most advisers handling portfolios worth less than $1 million charge between 1 percent and 2 percent of assets under management, Veres found. That may be a reasonable amount, if clients are getting plenty of financial planning services. But some charge more than 2 percent, and a handful charge in excess of 4 percent. It’s hard to imagine what might justify those costs. Advice fees are in addition to whatever the clients pay for the underlying investments, and those investment costs can vary enormously as well. Some exchange-traded funds and index funds charge less than 0.2 percent, while variable annuities can cost 2 percent or more. Costs matter, because they erode how much money a client can accumulate over time. If you’re not rich or you’re just starting out, consider using an automated approach for your investing — either a robo-adviser or a low-cost target date retirement fund that makes the investment decisions for you. When you need real financial planning help, such as deciding how to tap your savings in retirement or which insurance policy to buy, hire a fee-only financial planner who charges by the hour. The advice won’t be cheap — figure on $150 an hour or so — but it may be the best deal you can get.